This chic, broad mirror is the perfect accent piece for your contemporary bedroom, adding a sleek sophisticated look and helping create the illusion of a more spacious room. 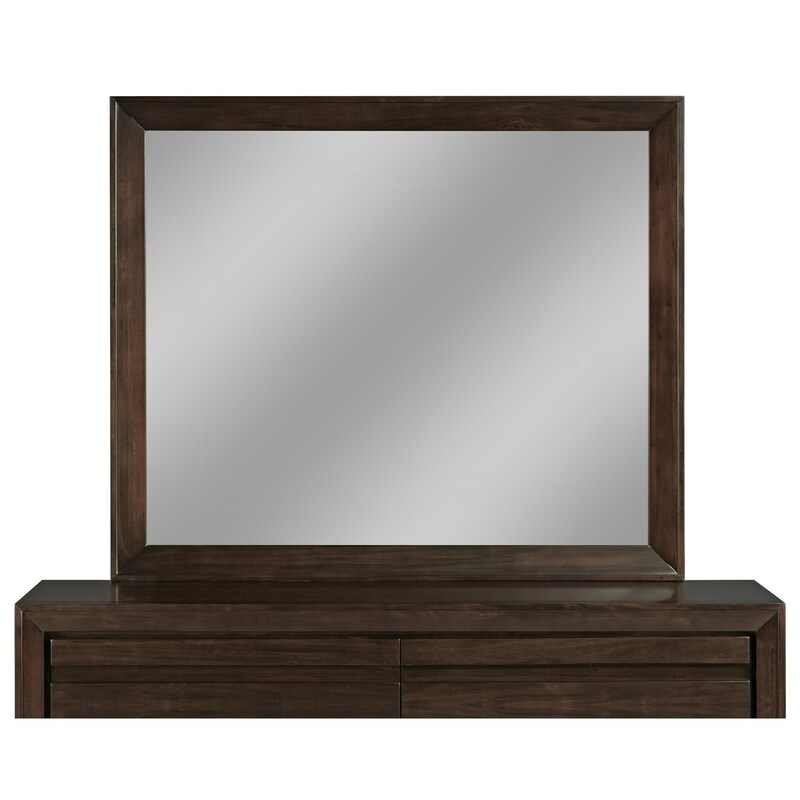 This modern style mirror is adorned with clean, minimalist style features like beveled wood and glass, and a dark, rich chocolate finish on the frame. Pair this piece with a dressing chest for a mod, stylish morning prep area, aiding you in constructing your most fashion-forward ensembles. No assembly required. Dresser sold separately. The Element Landscape Mirror by Modus International at Red Knot in the Oahu, Honolulu, Kapolei, Pearlridge, Salt Lake, Hawaii area. Product availability may vary. Contact us for the most current availability on this product.